4BR + Maids - 12Yrs Free Service Charge!! Ready to move in villa - MBR city Dubai! Great living style available in the displayed villas for sale in Mohammed bin Rashid City, or as known as MBR. 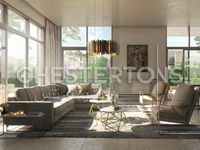 Launched in 2012 by Dubai Ruler Sheikh Mohammed bin Rashid Al Maktoum, the new development is a planned mixed use community that is seen as a new city within Dubai city. The project lies in a strategic location in Dubai bordered by Al Khail Road on the northwest, Umm Suqueim Road on the south west, Sheikh Mohammed bin Zayed Road on the southeast, and Dubai Al Ain Road on the northeast. They are all pivotal traffic arteries which make the community very easily accessible from anywhere around Dubai and UAE. The new city has all needed to be a veritable comprehensive and fully integrated community, it has everything residents aspire to starting from vast greeneires, facilities, recreational destinations, and high end residential units. Mohammed bin Rashid City houses the largest family leisure and entertainment park in the Middle East. Established in association with Universal Studios, the park is capable of receiving around 35 million visitors a year and it incorporates 100 high-end hotels. MBR includes also “Mall of the Worlds” planned to be the biggest mall in the world. Moreover, it will have the world’s biggest swimming pool sprawling over 40 acres. In respect of culture and art, the new city will connect between Downtown Dubai and Business Bay through a crossing named “Cultural Crossing” which is conceptualized to be the largest area for art galleries in Middle East and North Africa. All these advantages and getaways make Mohammed bin Rashid City a promising real estate investment destination. 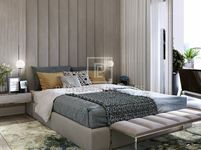 The project teems with a lot of villas varying in style and size from two-bedroom to six-bedroom villas, they all integrate advanced technology with spectacular finishing and interior design to offer a redefinition in upscale style of living. 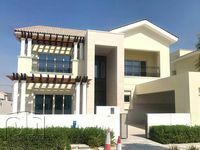 Villas in MBR are suitable for all requirements, either looking for a lucrative real estate investment opportunity in Dubai or hunting for a home, the displayed villas offer very unique set of options to choose from. 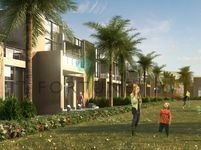 Families will find what really meet their demands in Mohammed bin Rashid City villas, they boast large ambiance, direct access to large parks and greeneries, in addition to a set of enjoyable amenities including swimming pools, saunas, fitness gyms, and other. It’s a human-friendly environment that’s very suitable for nurturing a family in a healthy and peaceful ecosystem. The city includes also several schools, hospitals, and it’s in a close proximity to Dubai’s famous hotspots like Burj Khalifa and Mall of the Emirates. 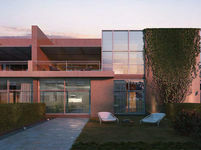 Just Property makes it very easy for homehunters to find villas for sale in MBR of all types and sorts. The properties are curated in a very clear and simple style to facilitate the search process, they could be arranged also according to price, date of publish, or size. You could limit your search results by choosing the specs of your aimed property from the bar on the left.